Rents in Mayo are now up 30% from their lowest point at an average of €672 per month, according to the latest Daft.ie quarterly Rental Report. On average, rents in the county are up 8.1% in the second quarter of this year compared 2017. A one bed apartment in Mayo now averages €487, a 10.6% increase. The most expensive in the county is a five bed house which costs €793 per month to rent, an increase of 14.5% on 2017. Nationally, rents have increased by an average of 12.4% in the year up to June 2018. 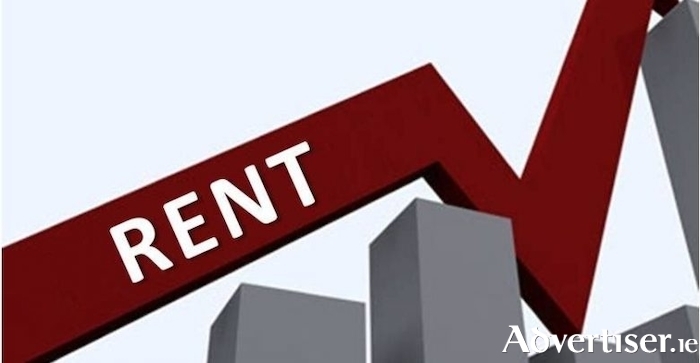 This represents the ninth consecutive quarter in which a new all-time high for rents has been set and also in which annual inflation in rents has been greater than 10%. The average monthly rent nationwide during the second quarter of 2018 was €1,304. This is €274 per month higher than the previous peak in 2008 and over €560 higher than the low seen in late 2011.